The three main watchdogs of Melbourne's heritage, - Heritage Victoria - The National Trust - Melbourne and Port Phillip Councils, have let the public down allowing the State Government to embark of this ill conceived alteration and and permanent defacing of our world renowned icon with hardly a whimper. The three bodies have been almost silent on probably the most significant attack on one of the worlds most important Boulevards. The report below was the sad beginning to the destruction, this is what happens when these organizations who rely on the political class for their existence. That includes the private National Trust who admitted they did not want to speak out against the Government. What about the Greens you ask? They would not join our cause or speak out. 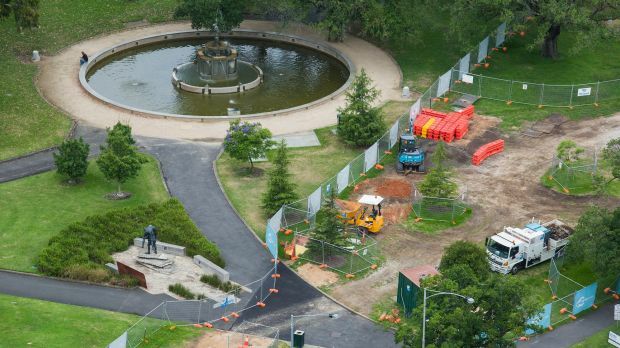 Metro Tunnel early works begin, with first St Kilda Road trees facing chainsaw. But despite the first of hundreds of trees going, and gas and sewer pipeline relocations starting, the design and exact location of a new underground station at Domain is yet to be finalised. The government's early works contractor John Holland will cut down the first trees on A'Beckett and Franklin streets, and begin realigning gas and sewer lines at Domain. Later this month, eight "juvenile" trees will also go, although some of the mature elms lining St Kilda Road will be spared in the area – for now. 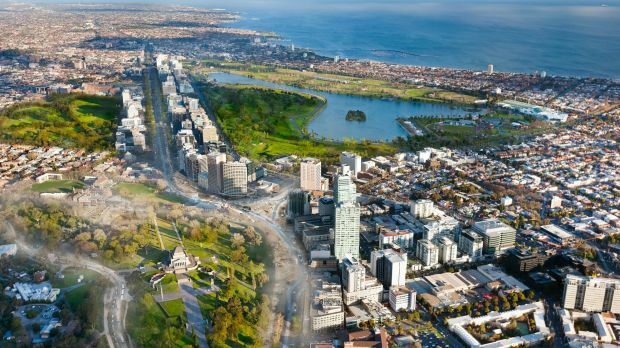 The government argues it can complete the early works for the Metro Tunnel “with no significant long-term impact on the heritage values of St Kilda Road”. It has promised to replace mature trees with "super-advanced specimens", and has argued the loss of trees that will regrow in time is worth it for the rail tunnel. The project will see two nine-kilometre tunnels built from South Kensington to South Yarra, and five new underground railway stations in North Melbourne, Parkville, the CBD and at Domain by the Shrine. Later this year, St Kilda Road will be reconfigured to one lane in each direction between Dorcas St and Toorak Road – for three years while the new Domain Station is built. Around 30,000 vehicles per day use St Kilda Road. Planning Minister Richard Wynne approved plans for the rail tunnel just before Christmas. Locals concerned over the St Kilda Road trees going say a deeper tunnel could avoid the losses. 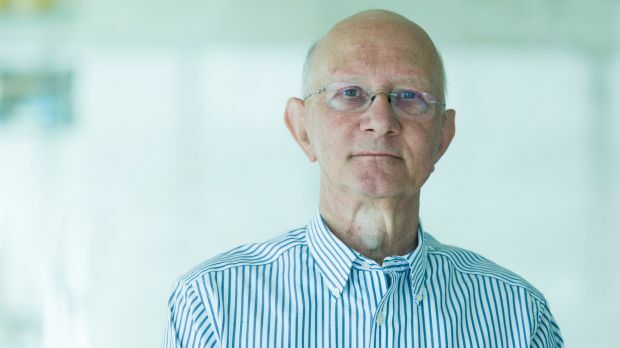 Winston Broadbent lives on St Kilda Road and has followed the project closely. He said the "cut and cover" method of construction the government planned would decimate St Kilda Road's trees. 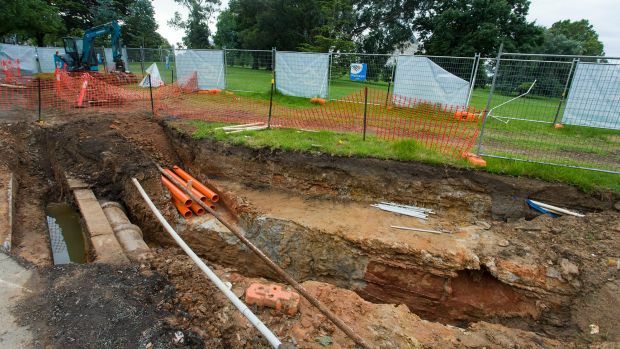 "It will leave St Kilda Road devastated," he said, arguing that instead of burrowing at a depth of just 15 metres from above, contractors should go deeper to protect the boulevard. More than 2500 people have lodged objections with Heritage Victoria, which is considering how the plan will affect St Kilda Road's heritage-listed streetscape. “This is a planning process that puts the cart before the horse,” the opposition's planning spokesman David Davis said. 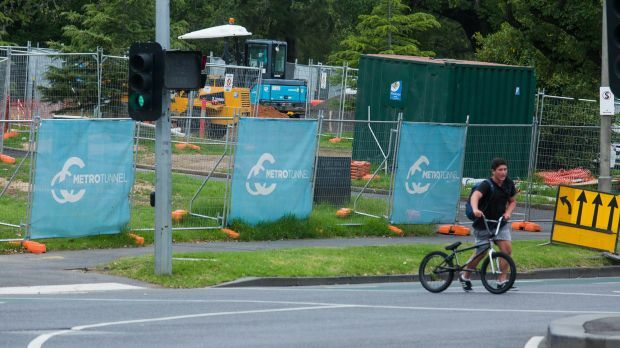 But the government's acting public transport minister, Jaala Pulford, said Mr Davis and the former Napthine government had "wasted four years doing nothing on this project and are now complaining about us getting on with it". Heritage authorities said the works to start next week were covered by a permit exemption issued last year, after the government promised there would be no initial impact on mature trees.